Gear Review: Digitech Expression Factory EX-7. First off, let me start by saying I am a gear nut, and I have been playing guitar for almost 23 years. I am a total shoegazer and effects freak, but I am not a technician. I like what sounds good to my ear, so do not be expecting a "techy" lingo fest, or schematic diagrams of the reviewed item(s). I will be regularly reviewing some killer shoegaze/dream pop gear for When The Sun Hits, and hopefully we will all learn something. The EX7 is a multi-effects processor made by the mad scientists at Digitech. I have owned many pieces of Digitech gear over the years and I must say I am happiest with this. As far as being user-friendly, this thing can be used by ANYONE! I decided to purchase this pedal because it is virtually impossible to find the "Space Station" pedal (very sought after by shoegazers) for under $500 dollars, and this has the best sounds (and then some!) from that notorious piece of gear, and it costs under $200. Here are the sounds it contains: the Dunlop Cry Baby Wah, Vox Clyde McCoy Wah, DigiTech XP300 Space Station, DigiTech Whammy, Unicord Univibe, Leslie 145 Rotary Speaker, and the A/DA Flanger. That's not to mention the seven (count 'em, SEVEN!) distortion pedal/amp/cab configurations! They are as follows: the Ibanez TS9 through a Fender 1965 Deluxe Reverb 1x12, the DOD 250 through a Marshall 4 x12, the Boss DS-1 through a Johnson Amplification 4 x12, the Pro Co Rat through a Fender Bassman 2x12, the Boss Metal Zone through a Johnson 4x12, the DigiTech Metal Master through a VHT Amplification 4x12, and the EH Big Muff pi through a Marshall 4x12 with 25 watt Celestions. This thing gets as close to the sounds as you can find without spending thousands of dollars. Each pedal model has 6 controls - 3 expression effect controls plus 3 distortion controls. Flexible output mode and separate amp and CIT (cab modeling) mixer outputs that feed your stage rig and PA system. Rugged cast-metal treadle and chassis. It also includes a power supply. 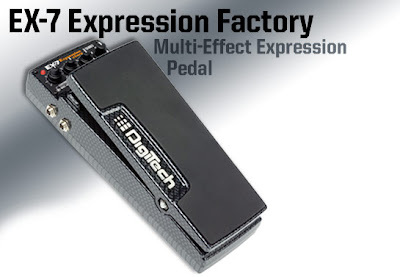 I am telling you here and now, the Digitech EX7 Expression Factory is a monster! Not only does it do what it says, it doesn't affect the overall tone of your rig! That, to me, says it all. I was worried it would be a "tone sucker", but it is not. I have not used it to record with (yet, that is), but I have used it to play out and it sounds immaculate. It's like instant Slowdive/Cocteau Twins in a box! It is very rugged and solidly built. It is of metal construction and has rubber pads to keep it in place while in use. I have had no issues with the overall construction, and it is no bigger than a standard wah-wah, so it fits in most pedal boards with ease. To activate the expression effects you click it forward like a standard wah pedal,to activate the distortion effects you click the heal down position. It's really easy to activate, so you must be careful when playing live not to engage the distortion while using it in the other mode. The only other thing I can find that I do not like is the expression pedal itself has a very tight ratio of movement - it is not forgiving. You have to learn to use it, it's not like a crybaby or volume pedal, it is very "fast". I also wish they would have included the FS3X Foot Controller, which will allow you to change effects in real time, but it can be purchased for a mere $30-40 dollars more. Overall I am very, very satisfied. I am going to give it 4 out of 5 stars. Only 4 because they could have included the extra pedal, and it's fast movement is a little tricky. Nevertheless, it's an amazing piece of user friendly gear! Album Review: Whirl. Distressor EP. this extremely promising debut EP from california-based whirl is yet another instance of an amazing shoegaze band appearing out of nowhere (to me, anyway) and utterly blowing my mind. the distressor ep just recently hit my radar, and it's been on constant repeat ever since. the melodies are untouchable and massive, featuring gorgeous drones and distortion. most of the tracks are slow-burning sonic forces to be reckoned with, languid and loud, with the haunting vocals buried in the mix. 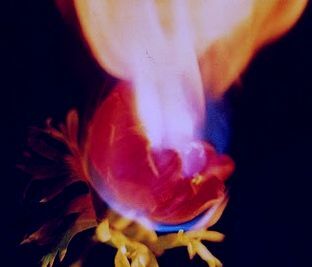 "leave" is a gorgeous example of this, recalling moments from both slowdive and the intensity of ride's "dreams burn down". "meaningless", the EP's one truly upbeat moment, is a golden example of shoegaze that makes your toes tap, and wouldn't be out of place among some of today's great dream pop bands, bringing to mind the likes of the pains of being pure at heart. whirl self-released this EP, and it is available for download for a meager TEN CENTS (or more, if you wish) at their website. you can also mail order a CASSETTE of the EP (how cool is that?) for $2 USD. either way you go, it's a bargain you need to take advantage of. from start to finish, the distressor EP is beyond stellar. it goes without saying that i am anxiously awaiting a full-length from whirl. i couldn't recommend this EP more highly. check out the video below to hear the excellent track "leave" from the distressor EP. Top Five Shoegaze Records of the Week. Video: Hammock. I Can Almost See You. Light swirls around you, dizzying and fuzzy as J's heaven. Slowly diving inside and pulling at the inexplicable from within. A trip to the deepest regions of the soul and back again. Aurally stunning, watery and deep. Aqua Blue, and ever so loveless. A Cerulean beauty of the kind rarely ever experienced. Spinning, floating in Cocteau dreams and vaporous trails. Shot through with a taste of Honey. A Cherry coloured French kiss. It is royal deliciousness. You can hardly wake yourself from such a womb-like dream. They are as addictive as opium, and as lovely as the Aurora Borealis. A gossamer beauty that will forever change your inner and outer worlds. Ej Hagen & Alexander White have created another Dream Pop/Shoegaze masterpiece that both nods to the past,and looks dreamily into the eyes of the future. It has been well worth the long wait. 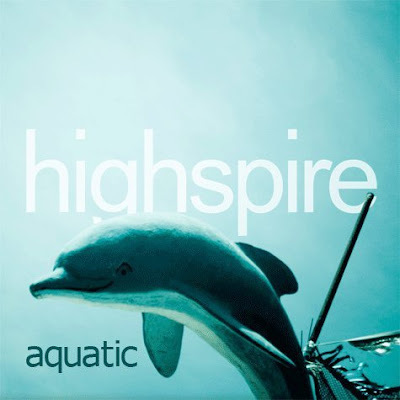 After stunning the dream pop world with album one, Your Everything, (released on Clairerecords in 2003), they have managed to surpass it's beauty and live up to the promise of that landmark album with Aquatic (released on their own label ReverseReverb in 2010). I honestly did not anticipate such a gorgeous slab of wax, but I must say I was left with mouth agape, stunned and grasping for words to describe its beauty. Both albums are simply divine masterpieces and are must haves for any fan of the shoegaze/dream pop genre. Do yourself a huge favor, buy this record right now! Be forewarned, it is life altering stuff. this release seemingly appeared out of thin air to me, as i had never heard a peep about the project, had never heard of the band, and had no preconceived notion whatsoever about what to expect. this happens rarely during this mad information age - generally i know something about a band before i ever hear a note of the music. so it was a rare treat indeed to have this thrust in my hands, a complete mystery, and have it turn out to be one of the best things i've heard all year. kompakt is a label that rarely disappoints. 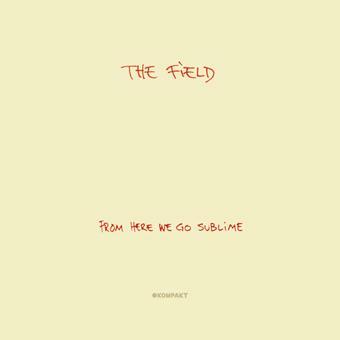 best known for their impeccable electro releases, kompakt started to make a name for themselves in the shoegaze world with the 2007 release of the field's from here we go sublime. 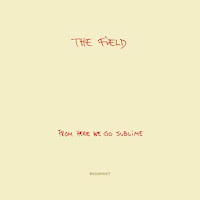 hovering somewhere between techno, trance and shoegaze, the field created an album of incredibly beauty that opened up a lot of people's eyes about the notion of "shoegaze" and what it can mean. this hybrid seemed to resonate with a lot of people. so to find this jewel of a release in a similar vein from kompakt a few years later doesn't come as that much of a surprise. 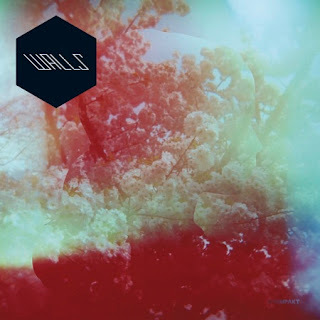 walls takes up where the field left off, veering much further in the direction of the gaze and atmophere, and leaving the techno beats buried much more deeply into the mix. the result is an incredibly blissful sound - sometimes ambient and dreamy, sometimes almost like a shoegazer's version of a dance beat, with occasional sleepy vocals here and there. it's gorgeous, frankly. walls is based out of london, and consists of two members, alessio natalizia and sam willis. alessio is known for his work with banjo or freakout, and is considered the more traditional musician of the pair, creating lo-fi dreampop. sam willis is a producer and co-founder of the popular dance podcast series allez-allez. the marriage of these two worlds is completely in evidence on the record, and the blend of sounds is incredible. brian eno would be proud and impressed. the production at times sounds lo-fi, but purposely so - it adds to the atmosphere a bit of nostalgic ambience. this works wonderfully with the fuzzed out guitar drones that dwindle into ambient drum beats that build into blissed out dance beats...it is an exceptionally well put together record. perfect to bliss out to on a summer night. as a debut release, i couldn't be happier with walls. this will definitely be one of my top releases of 2010. i look forward to more amazing stuff from them. highly recommended. you can buy the record HERE. check out the track "hang four" from the album, posted below! Shoegaze - The Scene That Celebrates Itself; A Brief History Lesson. "Shoegaze? What exactly is that, anyway?" is a question heard too often. Worse still, it's a difficult question to answer! Genre definitions are never fun to do within the realm of art, but in the interest of posterity and to better understand everything this blog will be about, we think a brief and painless history lesson is in order. Let's start with the basics. Shoegaze is a genre of rock music born in the late 1980's in the UK, and heavily features the use of guitar effects pedals, feedback, distortion, drone and atmospheric soundscapes. This "wall of sound" approach soon caught on with a handful of bands, and a scene of like-minded musicians was born. The word "shoegaze" was coined when it was noticed that the musicians, when playing live, tended to keep their backs turned and their eyes firmly on the ground, both in keeping with the mood of the music and to concentrate on manipulating guitar pedals and gear on the floor. Listeners soon came to call the musicians "shoegazers", and later the term came to mean anyone creating or listening to shoegaze music. Or, as we lovingly like to call them, 'gazers. The shoegaze movement was also briefly called "The Scene That Celebrates Itself" because of the close-knit relationships between the shoegaze bands of the time. Rather than be rivals, shoegazers were often seen at one another's shows, played in one another's bands, and pub-crawled and hung out together. Pinpointing the exact moment shoegaze was born is difficult to do, but it's safe to say that once The Jesus and Mary Chain released their first single in November of 1984, a 7 inch on Creation Records called "Upside Down", the seeds of shoegaze were firmly sown. The Jesus and Mary Chain defined the early sound of shoegaze with their noisy, feedback-laden songs, and influenced countless bands then and today. Creation Records, in turn, would become a major player in the early days of shoegaze, later releasing classic gazer records by bands such as Ride, Slowdive, and My Bloody Valentine, to name a few. The apex of the first wave of shoegaze is generally considered to have occurred in November of 1991, with the release of My Bloody Valentine's Loveless. 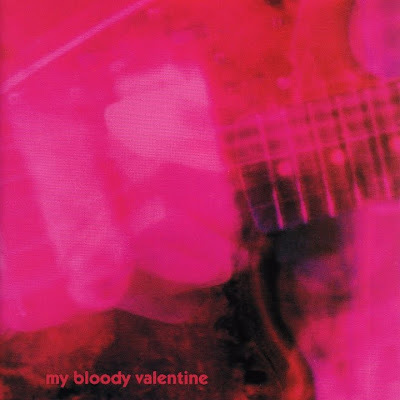 Meticulously crafted (Kevin Shields used nineteen different recording studios and nearly bankrupted Creation Records) and unapologetically loud, My Bloody Valentine crafted what many consider to this day to be a record of genius proportions, and the absolute crowning jewel of the shoegaze movement. legendary stuff. By 1994, however, the love for the shoegaze sound had waned. Grunge music and Brit pop had taken over the charts, and the scene that celebrated itself died quietly away. Or so it appeared. In reality, the roots of shoegaze lived on, splintering into other subgenres, influencing the evolution of drone music, noise, and even electronic music. Today, shoegaze lives on through hybrids of these genres, and a lot of contemporary shoegaze is a glorious melting pot of all of these sounds. In recent years, shoegaze and dream pop music has been enjoying a renewed interest and gaining new fans all over the world. Current bands like The Depreciation Guild, Highspire, The Pains of Being Pure at Heart, a place to bury strangers, Ceremony, Mahogany, Astrobrite, and many (many) more are keeping shoegaze alive, building on the classic sound and adding fresh perspectives and spins on it. Shoegaze/dream pop is now a vibrant scene, filled with talented musicians creating beautiful noise. When The Sun Hits wants to perpetuate this amazing scene by exposing these stellar artists to you, by interviewing them and playing their music for you, reviewing their albums, reviewing and featuring shoegaze gear, and just generally keeping gazer love alive and well. Welcome to When The Sun Hits - The blog for all things shoegaze & dreampop. hello! it appears you have arrived at our new blog, when the sun hits. welcome and come in! normally we'd ask guests to remove their shoes, but here they must remain firmly in place. they are necessary, in that we will be gazing at them. intently. and often. there is one thing, and one thing only, that fuels the existence of this blog: epically nerdy and immense gazer love. pure and simple. danny and i, your humble contributors, believe we can build quite a brilliant blog on top of all of that rampant geekery and love, and hence, the blog is born. we hope that when the sun hits, in turn, will provide more exposure to this amazing genre of music, and to the many talented musicians that brought it to life and keep it alive today. at when the sun hits you can expect to find daily updates full of album reviews (of both the new releases and the classics), artist interviews, shoegaze gear features, band and record label spotlights, live show reviews, plenty of video posts, and whatever else we decide discussion worthy in the realm of shoegaze and dreampop. commenting is open to the public, so please feel free to comment on any posting. we believe music should be an on-going discussion and look forward to future gazer rants! don't be one of those jerky commenter types, or we'll have to start monitoring them and other boring things we don't want to do. be cool. we hope when the sun hits will be your go-to blog resource for all things gazer! danny and i already have several ace things in store for you, including some awesome interviews and album reviews, but up first will be an article on that eternally reverberating question: what the eff is shoegaze, anyway? we can answer that for you.